We’ve worked all the way through research and writing parts of the Website Copy That Converts checklist. Now we edit and polish. Today, we’ll talk about a few last steps to make sure your copy is as polished as that agate that’s been through grandma’s tumbler. Hold on. What are those research and writing phases, Kelley? You wrote about them? Can you just, like, list all those other steps in a convenient list of links that I can peruse? Whew! I guess I’ve been busy. Here we go with fine-tuning and editing your website copy. SCIENCE* SAYS 200-500 words is the sweet spot for most pages. That being said, it’s more about quantity than quality, but watch out for going on too long. Cut and tighten where you can. See a big block of text more than a few lines long? Break it up. *A few websites that I checked seemed to agree on that. 2) Voice: Does it match your brand? Appeal one-on-one to the ideal client? When you read back through your website copy, does it feel like you? Does it feel like your brand? Is it speaking directly to one ideal client, or trying a scattershot approach? You can’t please anyone. Not with a chocolate cake, and not with website copy. If you’re selling chocolate cake, write to the people who really want your chocolate cake in their lives (like me). Don’t try to convince the people who really prefer lemon. 3) Scannable: Good use of headings? Does it need bullet points? We’ve talked about this: people don’t read. Your home page is like a resume. What do you want people to take from it if they only spend ten seconds to see if it’s interesting? Make sure your copy and design work together to make things scannable. 4) Jargon: Edit out industry language your client may not understand. Know your audience. Does your client know industry terms, and expect you to use them? Do they need a little education before they buy? Or can you just toss the jargon completely? Using terms your client doesn’t understand is a big-league turnoff. 5) Appearance: Check on laptop, mobile, different browsers. Your beautiful tagline might get cut off on some screens. When you know that, you can make a decision about whether it’s better to change the tagline, or to deal with it as it is. Try a simulator to get an idea of how your site looks on different size monitors, tablets, and mobile devices. 6) Consistent message: Read for discrepancies. This one can be a bit tricky, especially if it takes you weeks, months, or years (I see you out there) to update your website copy. Is every page a part of the same story? 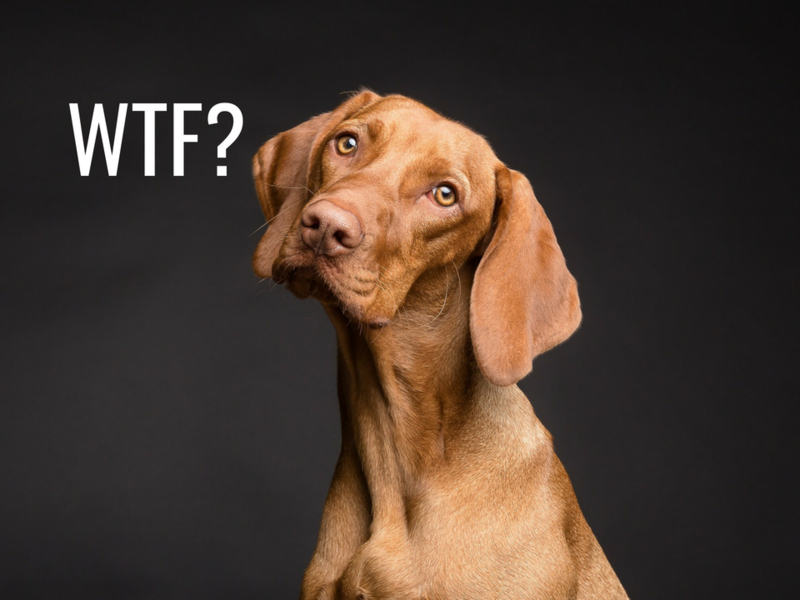 Do you have a tagline or call to action that’s worded a little bit differently on another page? Is there a consistent message throughout? 7) Consistent formatting: Keep a special eye on headings. Okay, this is a fiddly one, but make sure each page of your website looks like it belongs with the others. We won’t get too deep into design stuff, but keep those headings, fonts, etc., consistent. 8) Proofread: Make sure someone else proofreads your work. Always proofread last. Yes, even if you are a professional proofreader, because proofreading yourself is extremely hard! Trust me. I am one. Try not to fuss around with your copy AFTER the proofreading takes place, because that’s where mistakes happen most. That one last-minute tweak always gets me in trouble. 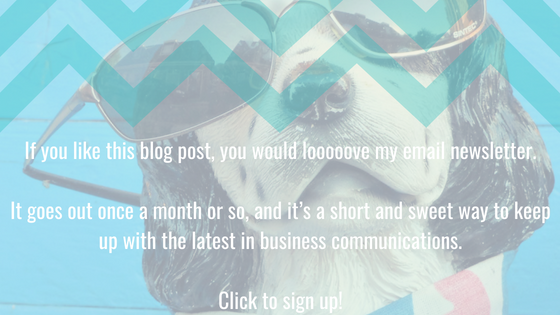 Did I tell you about that time my friend Abbi told me I had a typo in a proofreading offer in my newsletter? Murphy’s Law totally applies. P.S.—On longform sales pages, add a P.S. This one is mainly for fun, but… if you’re selling a high-ticket item, you’ll usually have a long sales page (more than 500 words for sure), and there’s usually a P.S. at the end. WHEW. 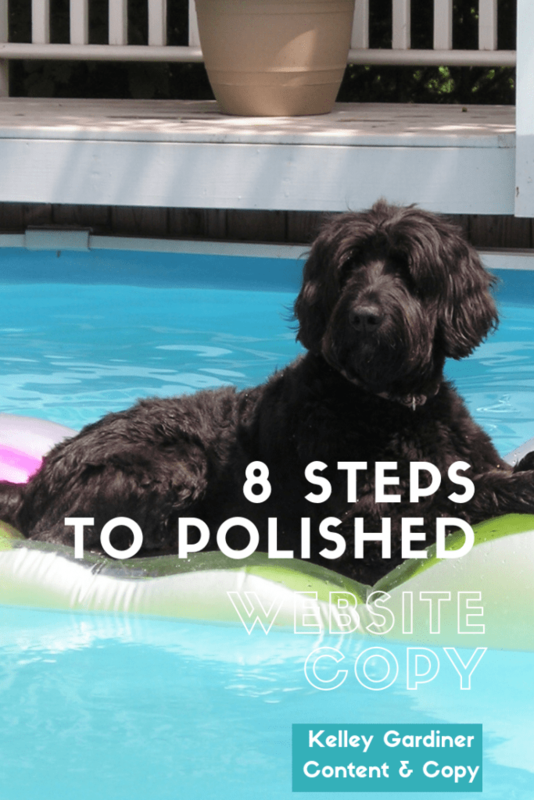 We have come to the end of the 18 Must-Haves for Website Copy That Converts checklist! Download it if you haven’t already. Was that a bit much? You know, you can just hire someone to do all this stuff for you. Like me. Hire me. I write and edit websites for cool people who do cool stuff.